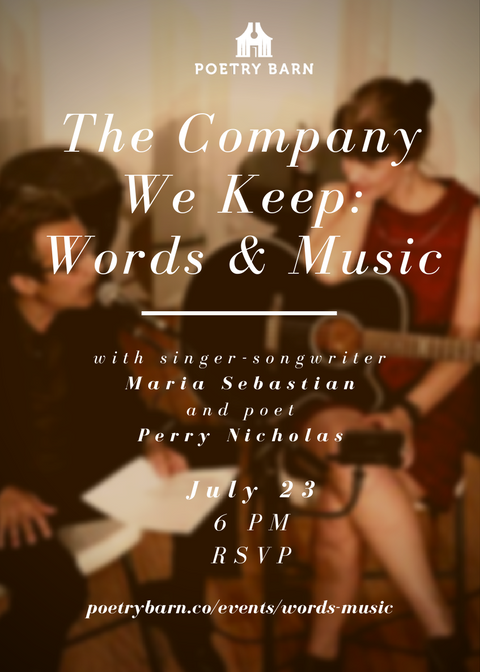 Poet Perry Nicholas and singer/songwriter Maria Sebastian are a couple whose partnership illustrates the prolific relationship between words and music. Join us for an intimate house concert/reading, where they'll each perform sets, alone and together, inspired by the other. While they cast their lyrical spell we’ll enjoy a communal indoor/outdoor picnic ~ please bring along your favorite dish to share! Afterward, those who would like to linger will gather by the firepit and share poems, songs, and stories of our own.